Any playlist of sad songs I might compile must include No-Man, but it was no easy task to select only one piece from a songbook positively chock full of them. To make my job a bit easier, I went back to the band’s beginnings. Similar in style to their first breakout single “Colours” (a dramatic reimagining of Donovan’s mid-60s folk-pop hit), “Days in the Trees” is very much an artifact of early 90s minimalist art-pop. 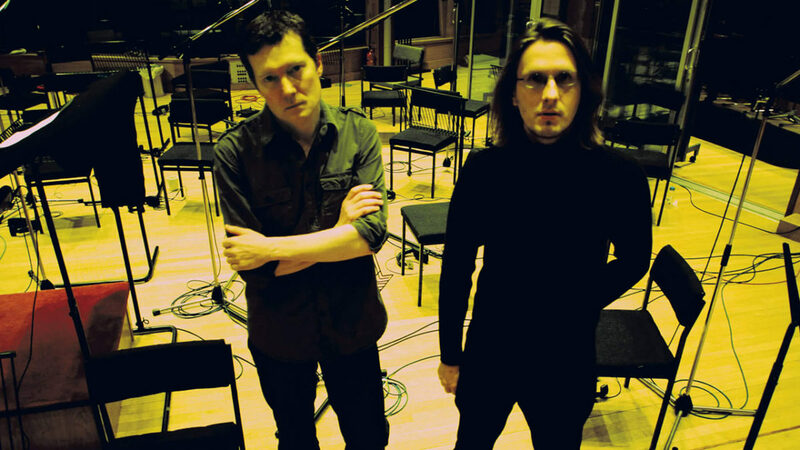 Despite its superficially dated production, the song is quintessential No-Man: Tim Bowness’ melancholy vocals hovering over Steven Wilson’s looped breakbeat, accompanied by Ben Coleman’s dramatic violin and very little else. I found myself drawn to a relatively obscure alternate version subtitled “Reich”, first released in 1992 on the virtually impossible to find original EP and the subsequent mini-album Lovesighs – An Entertainment, and now available on the retrospective anthology All the Blue Changes. In a personal reassessment, Bowness expresses reservations about the mix and performances in the released version, but concedes that “Reich is a piece I still love”. Utterly unlike a prototypically unimaginative remix in which rigid disco beats are bolted onto scraps of a song, this version has only the most tenuous of connections to its source material. It omits Bowness’ vocals entirely, in favor of a gently repeating keyboard arpeggio. The title alludes to composer Steve Reich’s brand of systems music, which reached its hypnotic apotheosis in Music for 18 Musicians. A generation of electronic musicians expanded upon Reich’s interlocking patterns, and Reich himself later completed the circle by experimenting with electronica and remixing on his 1999 album Reich Remixed. The stark ambient soundscape of “Days in the Trees (Reich)” provides an atmosphere for an astonishing soliloquy extracted from David Lynch’s seminal TV series Twin Peaks. 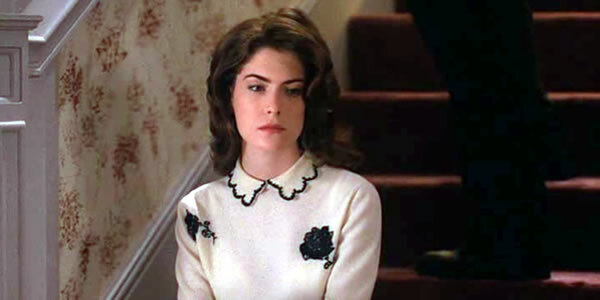 Donna (Laura Flynn Boyle) is a teenager disillusioned by unsavory revelations regarding her best friend Laura’s drug abuse and sexual misadventures. Over the course of the series, she is exposed to even greater depths of corruption and depravity in her seemingly idyllic small American town. While pursuing information on her own, Donna finds it necessary to ingratiate herself to a lonely male stranger. The mode of seduction she chooses is to recount the story of her first kiss. Her ploy quickly becomes a real confession, even an uncomfortably intimate flirtation. It’s an ostensibly happy memory, but her state of bliss over an event in the distant past is shot through with melancholy over a sublime moment long gone. Forced to confront the profound darkness festering in her community, this young woman prematurely mourns simpler times forever out of reach. Her tale portrays herself as a girl just beginning to sense that sexuality was a dangerous force her friend had already embraced but she couldn’t yet harness. The brief song drifts away on her last word. Lovesighs, Loveblows And Lovecries – A Reassessment, Tim Bowness’ musings upon this era of No-Man. An appreciation of the single by The Blue in the Air. Pingback: Popmeditatie No. 139 - Wat nou, sociaal!? “Heart Attack in a Layby”. So sad, both musically and lyrically…. Thanks for the suggestion, J.R. I have to confess that while No-Man is one of my all-time favorite bands, I have something of a blind spot when it comes to Porcupine Tree. But one song I really like is “Collapse the Light Into Earth”. I’ll give “Heart Attack in a Layby” a listen. “Screen kiss” by Thomas Dolby! Thanks for the suggestion, Alberto! I have to admit I’m not familiar with Dolby beyond She Blinded Me With Science, but I’ll check that one out.